Clearly if one pump is good, two pumps must be better, right? I noticed that the plastic at the top of my pump where the reservoir fits in had started to chip away. Pieces of plastic were literally missing from my pump. Actually, I noticed that happening awhile ago, but my pump was working fine so I kept using it. It wasn’t until the rubber stopper became exposed and almost fell out that I began to think that I should probably consider getting a replacement pump. With the rubber stopper out, it basically means that my pump is not waterproof. I’ll be honest though, I have no idea just how waterproof my pump is. 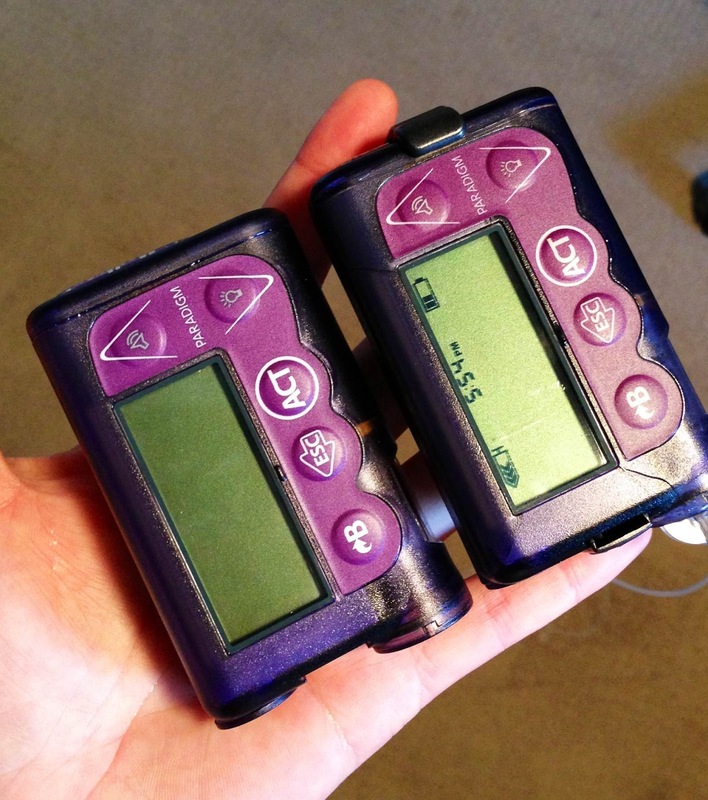 I remember my old ones not being waterproof at all, then one was dunk/splash proof, but I’m pretty skeptical that the medtronic pumps are in fact waterproof. Actually, I just pulled out the user manual and it says to “avoid immersing your pump in water”, so that answers my question. I remember when I went to diabetes canoe camp, I bought a special water proof holder for my pump. Since we would be spending the majority of the day in a boat on the water, I couldn’t just disconnect for the duration of the activity. There had to be a way to wear my pump, but protect it from getting wet. So 10 years ago I found this contraption, called the sport guard. 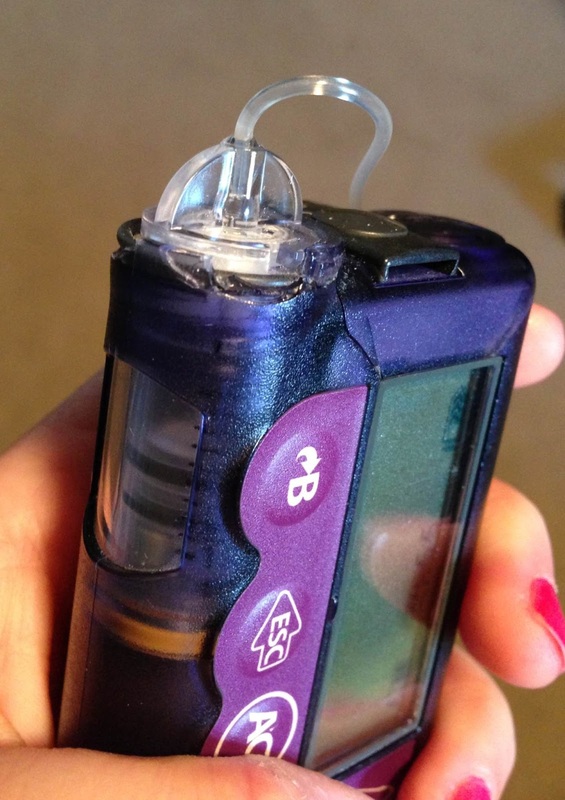 The pump fits into a plastic case with an airtight rubber top and then clipped around me. Not too fancy, but it got the job done. I’ve been lucky that my pump has avoided water the past 13 years. It’s never fallen out of my pocket and into a toilet, I’ve never fell or been pushed into water while I was wearing it, and torrential rainstorms haven’t really been an issue. However, one of the most important rules with diabetes is to always be prepared. Walking around with a pump that was not up to standard seemed to be asking for trouble. So I called medtronic and they had a replacement pump shipped out the next day. I don’t plan on submerging my pump in water any time soon, but at least now I’m prepared. That chip is no good — I'd be more worried about the reservoir falling out than water getting in. Glad you got it replaced! A couple of times, I've tried the AquaPac. 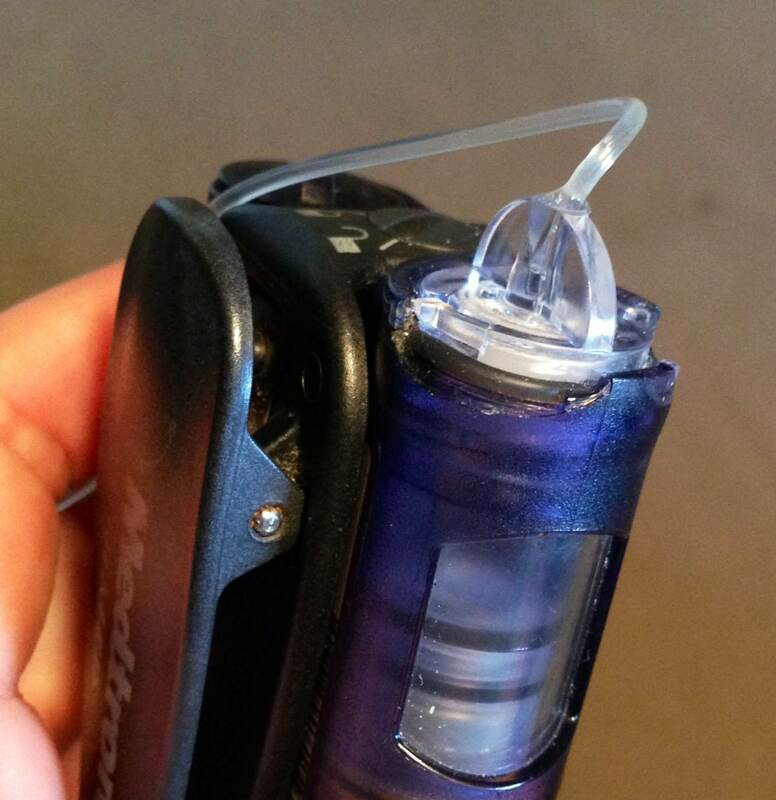 Originally marketed as the AquaPac Microphone Case, because it has a spot for a wire to come out, people found it works well with tubed insulin pumps, so it's now marketed that way as well. I admit, when I have it, I check it every two minutes to see if it's still keeping the pump dry (so far it has, but it hasn't quite earned my full trust yet). 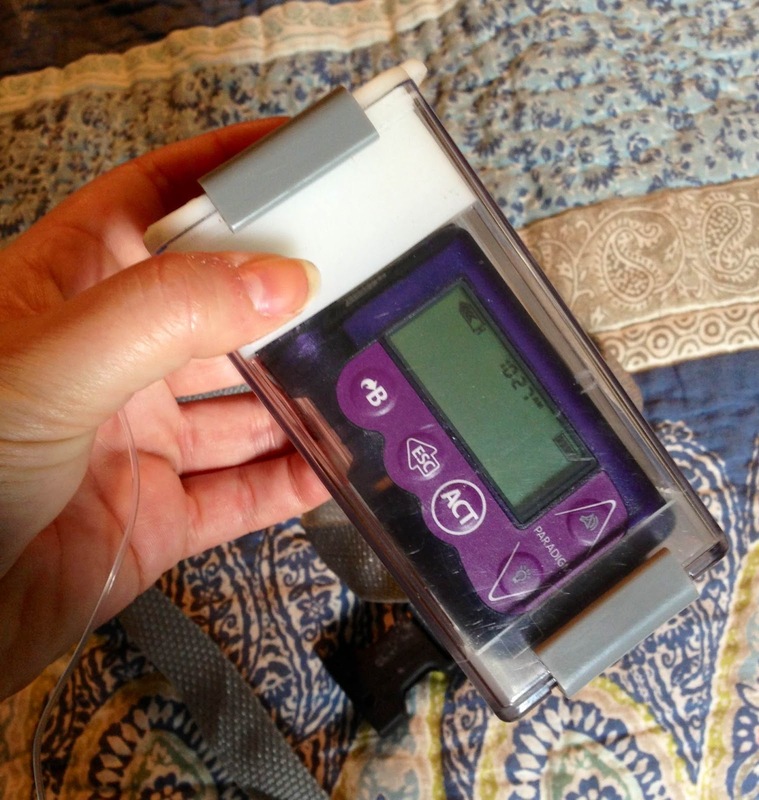 Once I boiled the insulin in a hot-tub (it protects from water, not from heat. Dumb move on my part), but it's way more comfortable than anything else I can think of. Oh good to know, thanks Scott! I'll have to look into that.